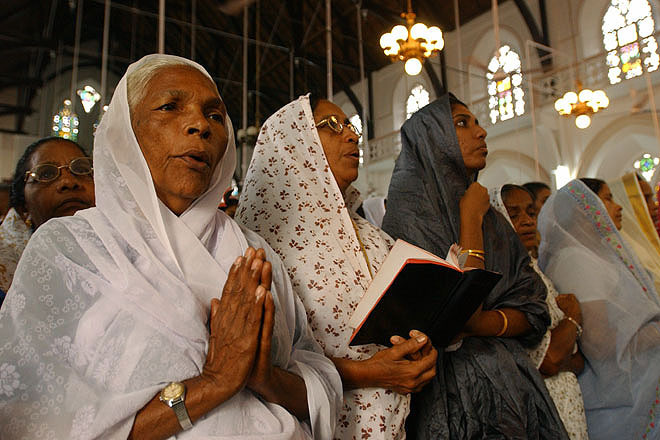 Participants at the Maramon Convention, the week long annually Maramon Convention is the largest Christian gathering in Asia, it brings together an estimated 100-200.000 participants per day. 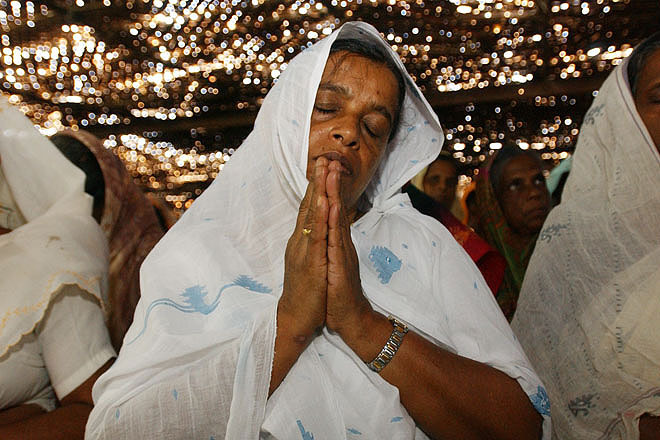 The Maramon Convention is the largest Christian gathering in Asia, it brings together an estimated 100-200.000 participants per day. 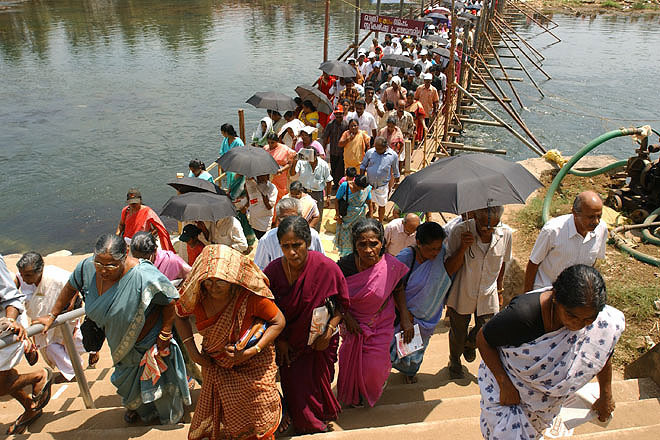 The convention is held on the sand-bed of the Pampa river near Kozhencherry. 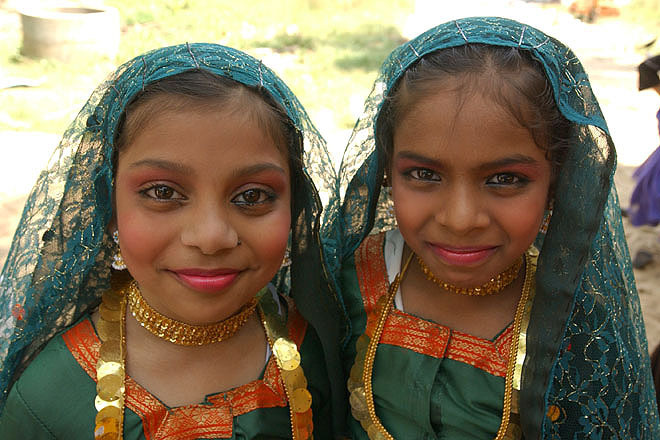 This gathering is conducted by the Mar Thoma Evangelistic Association, the missionary wing of the Mar Thoma Church. 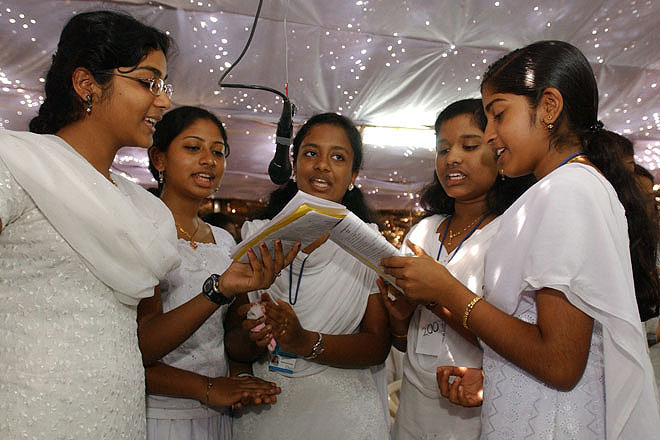 Choir at the Maramon Convention, the convention is the largest Christian gathering in Asia, it brings together an estimated 100-200.000 participants per day. 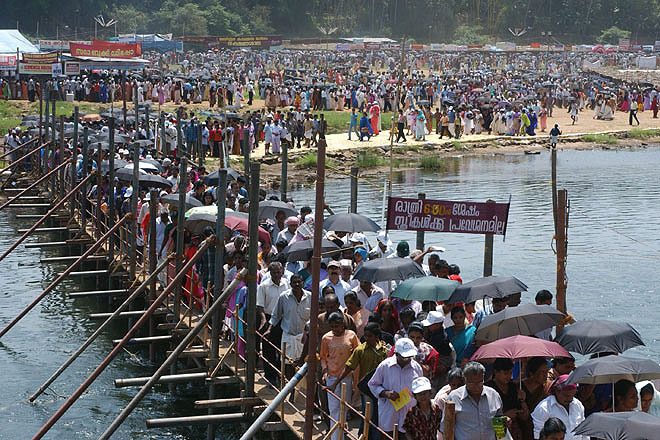 The week long annually Maramon Convention is the largest Christian gathering in Asia, it brings together an estimated 100-200.000 participants per day. 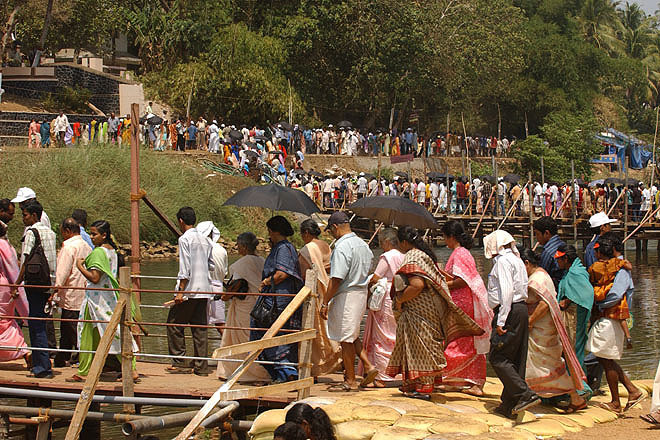 The convention is held on the sand-bed of the Pampa river near Kozhencherry. 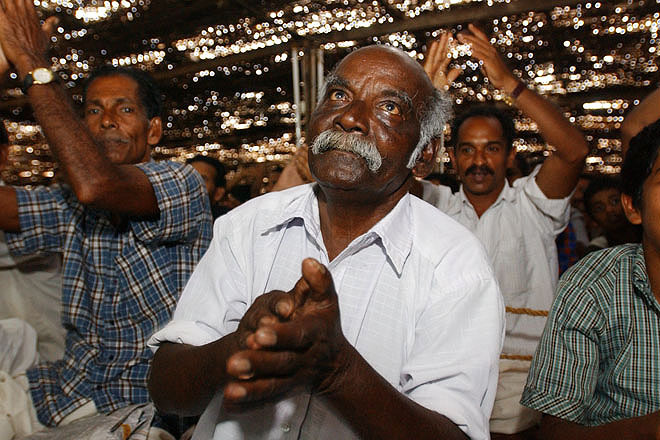 Participant at the Maramon Convention, the week long annually Maramon Convention is the largest Christian gathering in Asia, it brings together an estimated 100-200.000 participants per day. 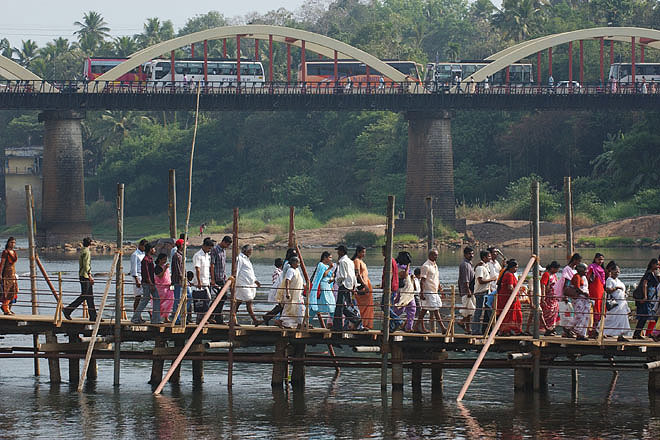 The convention is held on the sand-bed of the Pampa river near Kozhencherry. 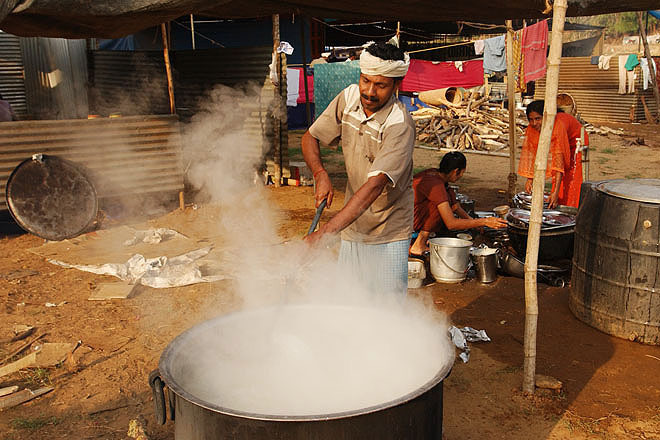 The cooks need to start early to prepare food for the thousands of participants at the week long annually Maramon Convention. 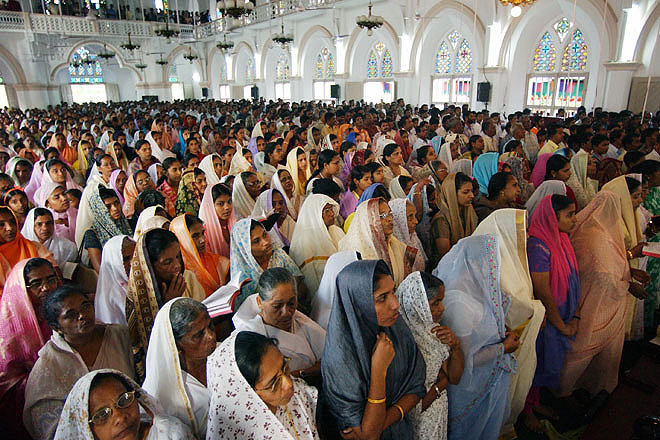 The convention is the largest Christian gathering in Asia, it brings together an estimated 100-200.000 participants per day. 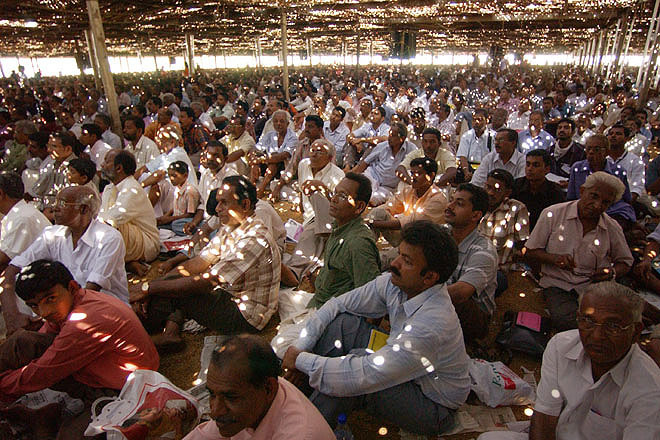 The convention is held on the sand-bed of the Pampa river near Kozhencherry. 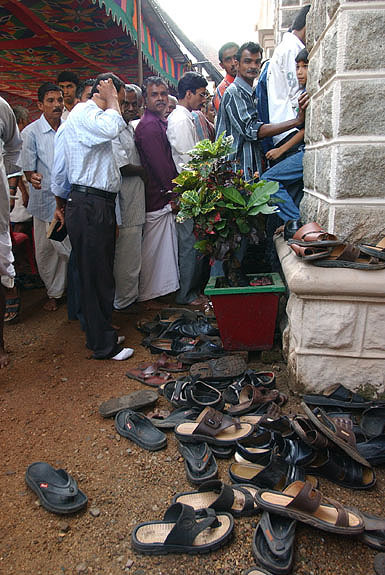 Buses bring participants to the annual Maramon Convention while others arrive by foot for the first session of the day. 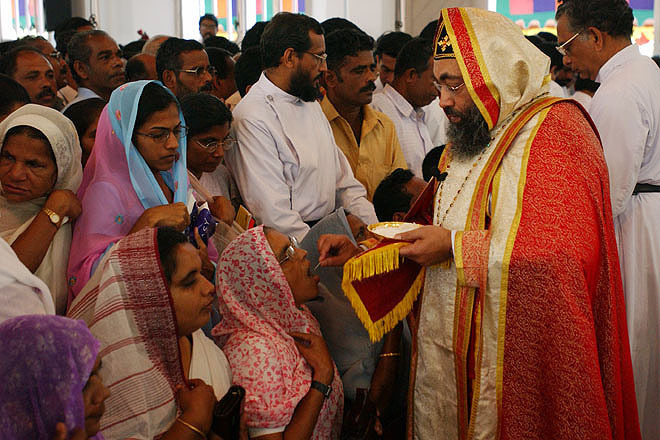 St. Thomas Mar Thoma Church in Kozhencherry. 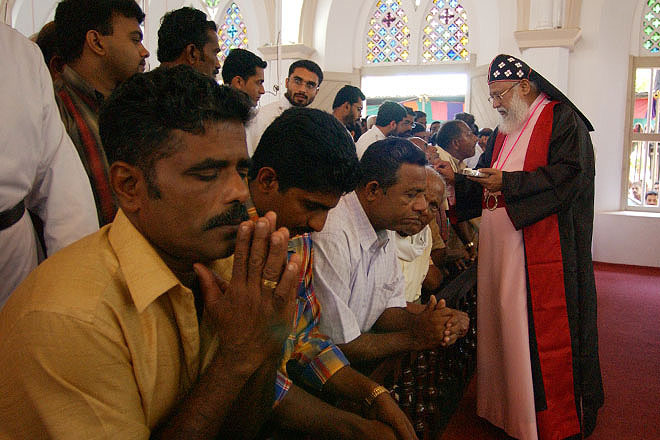 Worship at St. Thomas Mar Thoma Church in Kozhencherry. 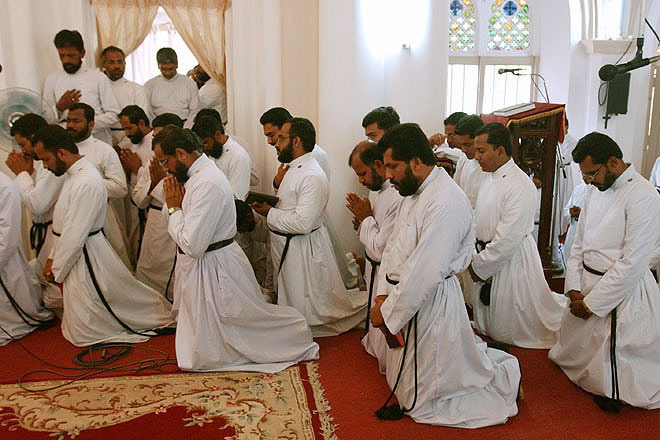 Holy Communion offered by Metropolitan Dr. Zacharias Mar Theophilus. 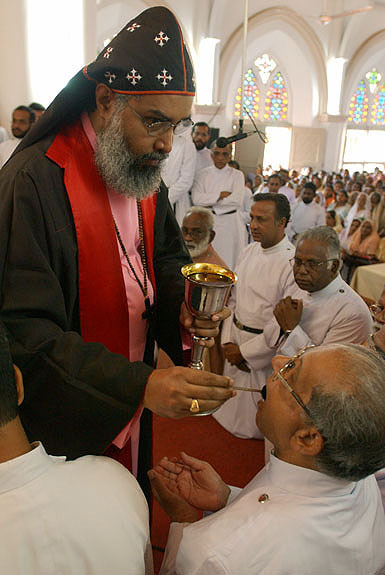 Priests during eucharist at St. Thomas Mar Thoma Church in Kozhencherry. Holy Communion offered by Bishop Dr. Isaac Mar Philexinos. 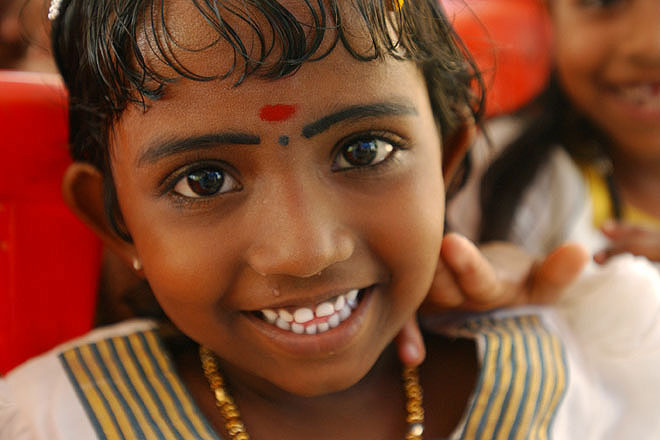 Girl at the brick laying ceremony for a multi purpose disaster shelter. The disaster shelter is the last of 85 houses built as part of CASA tsunami rehabilitation program in Ernakulam District, a coastal village about 25km from Cochin. Girls at the brick laying ceremony for a multi purpose disaster shelter. The disaster shelter is the last of 85 houses built as part of CASA tsunami rehabilitation program in Ernakulam District, a coastal village about 25km from Cochin. 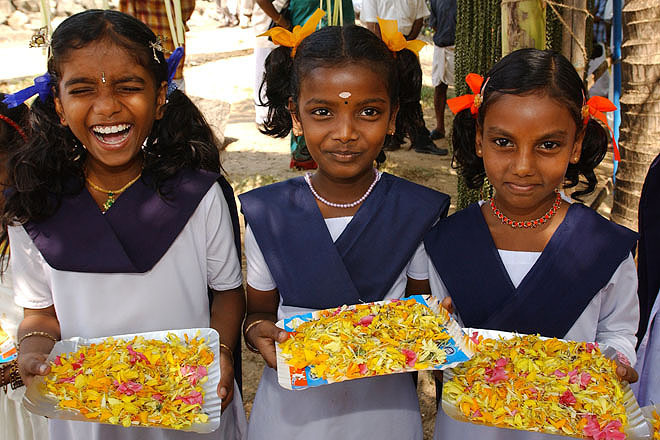 A group of girls at the brick laying ceremony for a multi purpose disaster shelter. 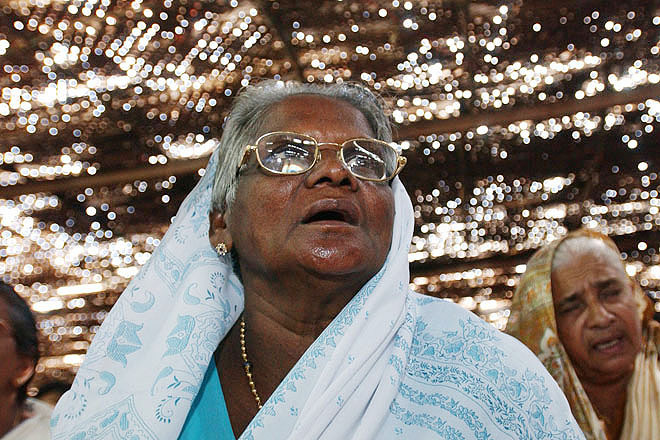 The disaster shelter is the last of 85 houses built as part of CASA tsunami rehabilitation program in Ernakulam District, a coastal village about 25km from Cochin.